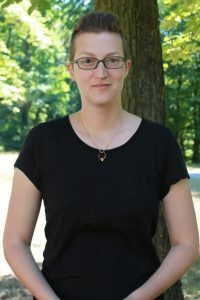 The Project Office would like to introduce the new 4MOST Instrument Scientist, Genoveva Micheva, who has replaced Ollie Schnurr in the AIP/4MOST Project Office. Genoveva’s most recent position was in the InnoFSpec group at the AIP, and she joined the 4MOST team on 1 December 2018. Genoveva earned her PhD in Astronomy at the Department of Astronomy, Stockholm University, Sweden. Her professional background is that of both an astronomer and an engineer. Her many years of experience in working at observatories (NOT, La Palma, and SUBARU, Hawaii) provide her with a good foundation for understanding the importance of being the interface between the instrument builder team and future users. We would like to welcome Genoveva on board, and we are looking forward to working with her towards the completion of 4MOST!